And that aren't mantids or wasps. The picture below is of Climaciella brunnea, the Wasp Mantidfly. 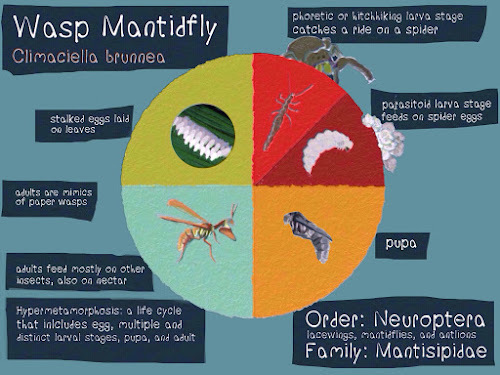 Mantidflies are a family of insects in the order Neuroptera, which also includes the lacewings and ant lions. 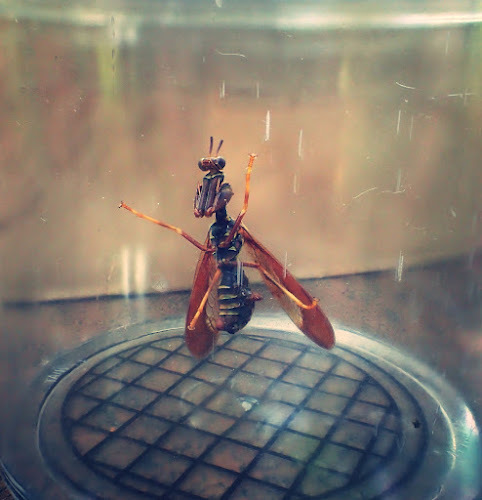 The colors on a Wasp Mantidfly mimic those of paper wasps (genus Polistes). Their enlarged front legs and triangular head resemble those of mantids (order Mantodea). Like mantids, the front legs are raptorial and used for grasping insect prey. 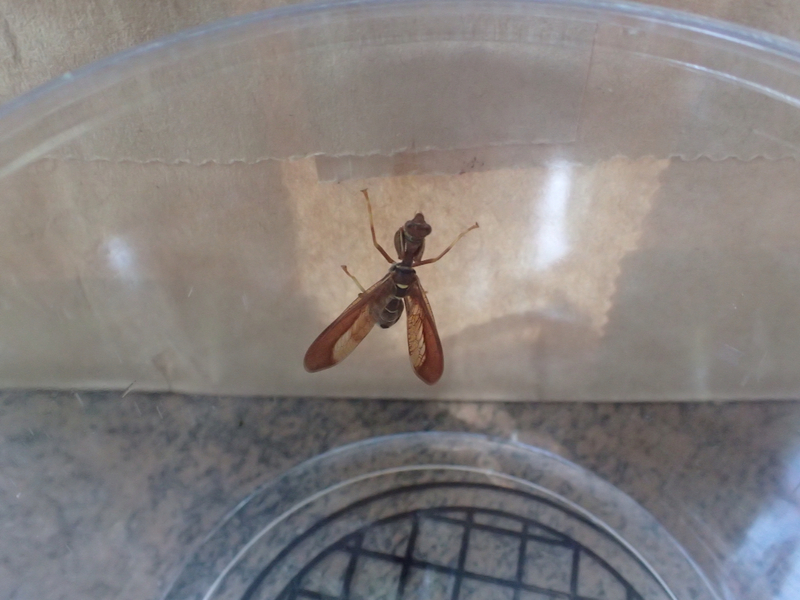 Thanks Heidi for sharing this insect with me this summer, and the pictures!